Heart failure (HF) is a complex progressive clinical condition that represents the end-stage of a range of cardiac diseases. It is associated with impaired physical functioning and vitality, decreased health-related quality of life (HRQOL), and mortality rates of nearly 50% within 5 years of diagnosis. Approximately 5.7 million US adults are affected by HF. The lifetime risk for developing HF among Americans ≥40 years of age has been estimated to be on the order of 20%. Because the incidence of HF increases with age, it is expected that the current epidemic will worsen over time given that 1 in 5 Americans will be >65 years of age by the year 2050. In addition to imposing a significant burden on affected individuals, HF also exerts a significant economic impact on the healthcare system. Integrity Continuing Education, Inc. and Global Education Group require instructors, planners, managers, and other individuals who are in a position to control the content of this activity to disclose any real or apparent conflict of interest they may have as related to the content of this activity. All identified conflicts of interest are thoroughly vetted by Integrity Continuing Education and Global Education Group for fair balance, scientific objectivity of studies mentioned in the materials or used as the basis for content, and appropriateness of patient care recommendations. Integrity Continuing Education and Global Education Group are committed to providing learners with high-quality CME/CE activities and related materials that promote improvement or quality in healthcare and not a specific proprietary business interest or a commercial interest. The following faculty/planners reported their financial relationships or relationships to products or devices they or their spouse/life partner have with commercial interests related to the content of this CME activity under the Faculty heading below. Dr. McCullough has no real or apparent conflicts of interest to report. The following planners and managers, Andrea Funk, Liddy Knight, Lindsay Borvansky, Ashley Marostica, RN, MSN, and Patima Tanapat, PhD, hereby state that they or their spouse/life partner do not have any financial relationships or relationships to products or devices with any commercial interest related to the content of this activity of any amount during the past 12 months. Integrity Continuing Education designates this enduring activity for a maximum of 1.00 AMA PRA Category 1 CreditTM . Physicians should claim only the credit commensurate with the extent of their participation in the activity. This educational activity for 1.00 contact hour is provided by Global Education Group. Designated for 0.50 contact hours of pharmacotherapy credit for Advance Practice Registered Nurses. This educational activity may contain discussion of published and/or investigational uses of agents that are not indicated by the US Food and Drug Administration. Integrity Continuing Education, Global Education Group, and Novartis, do not recommend the use of any agent outside of the labeled indications. The opinions expressed in the educational activity are those of the faculty and do not necessarily represent the views of Integrity Continuing Education, Global Education Group, and Novartis. Please refer to the official prescribing information for each product for discussion of approved indications, contraindications, and warnings. 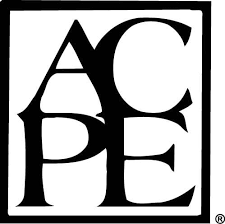 For information about ACPE or ANCC accreditation of this activity, please contact Global at (303) 395-1782 or cme@globaleducationgroup.com.